Press Releases have been moved to the home page and social media and are no longer archived here. April 28 HCPC Announces HCPC Annual Meeting, May 25. 2010 7:00 PM Ellsworth City Library Lower Floor. 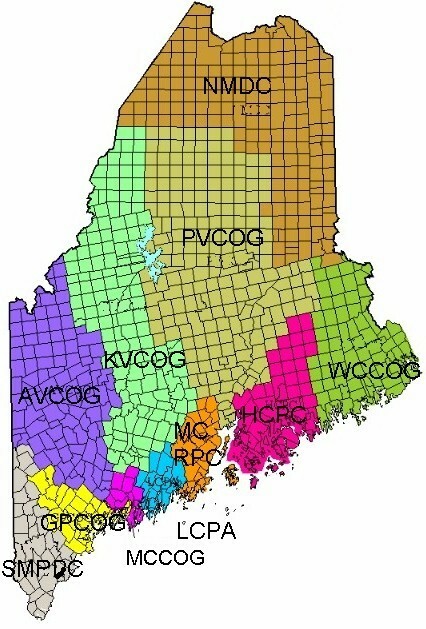 Gerald Chasse, President of Bangor Hydro-Electric Company will discuss the status of Hancock County’s electrical supply and distribution system and what changes we might expect in the future. Jan 26 Striking a Balance Forum on Brownfields announced for March 31, 2009. Oct 2 Regional Transit Planning Outreach Meetings Scheduled - October 16 in Machias and November 5 in Ellsworth.. Contact HCPC for details. Dec 27 League of Women Voters to Sponsor Discussion Series on the Brookings Report “Charting Maine’s Future: An Action Plan for Promoting Sustainable Prosperity and Quality Places." Jan 13, Feb 17 and March 24.